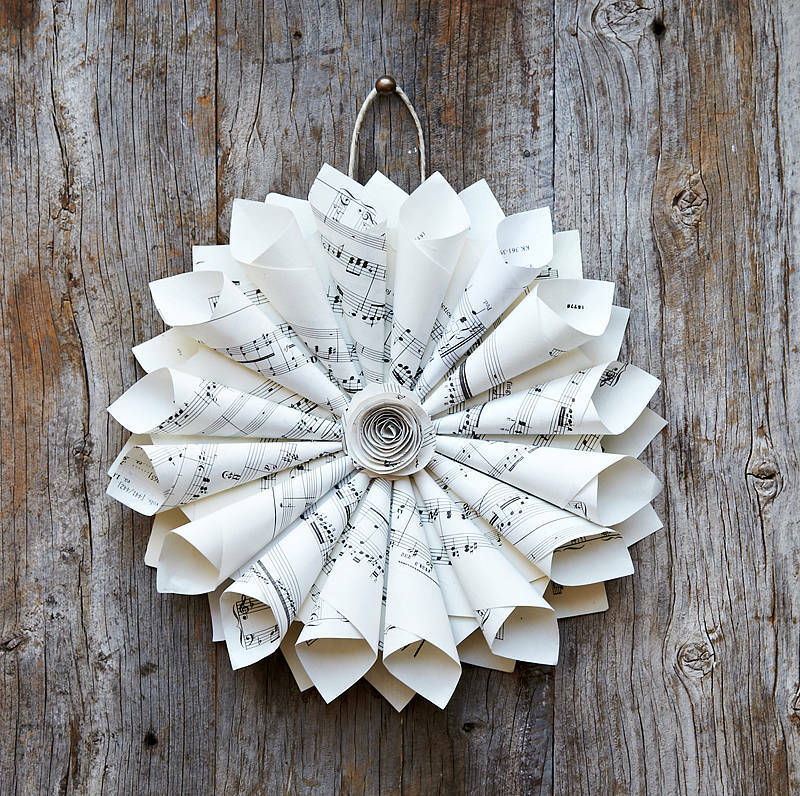 A stunning handmade vintage music wreath with a paper rose centre. This wreath is perfect for those who want to add a bit of nostalgic charm to their decor, hung simply on a door, mirror or anywhere you fancy! It would look equally gorgeous at a vintage themed wedding or party and would make a unique gift. We love to hang them in little clusters for added effect! 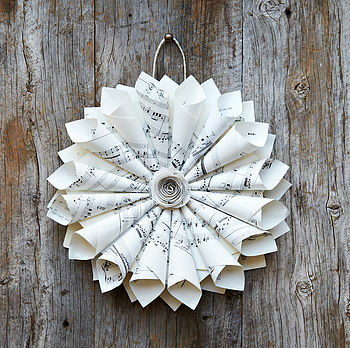 Handmade from vintage sheet music paper with a twine loop for hanging.